I’m firmly of the opinion that if you love yourself, everything else will fall into place. So whilst the rest of the world and his wife are out wining and dining this Valentine’s Day I’ll be popping on a movie (preferably one with Ryan Gosling), cracking open a bottle of wine and showing my face some love with my new favourite face mask from the lovely folks at Skin Shop. 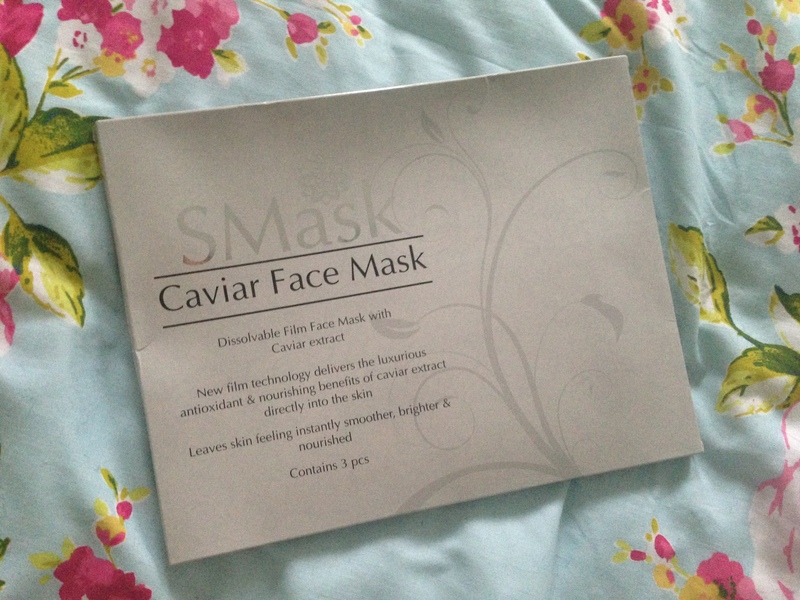 Admittedly up until now I’ve always been a loyal REN Skincare mask fan, only breaking from tradition for the occasional facial, so when the SMask Caviar Face Mask landed on my doorstep I was more than a little intrigued. Originally developed in Asia, the infused silicone film face masks slowly dissolve allowing ingredients to deeply penetrate the skin. According to Skin Shop the SMask Caviar Face Mask promises to give my face an instant luxurious boost that’ll leave my skin immediately rejuvenated and softer while smoothing out the appearance of fine dry lines. So how did it actually fair when I put it to the test? For £14.95 you’ll get three masks, which personally I think is pretty darn reasonable considering the average price of a caviar facial is well over £100. The masks come in a slim-line A4 box, which whilst not the prettiest packaging in the world does its intended job. Eager to get cracking I bypassed the extensive instructions on the back of the box and instead set about unpacking my mask. 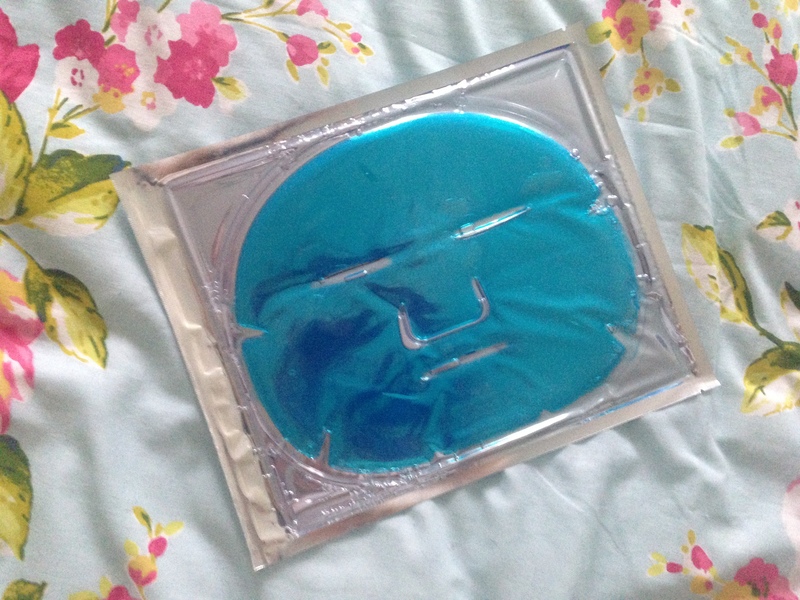 The mask itself has gaps for your eyes, nose and mouth, whilst the jelly-like silicone molds to the contours of your face. I personally found the mask a little fiddly to get in place but after a little slip-sliding about I finally settled on a position where I could just about see out of both eyes whilst still being able to breathe. Admittedly this could be down to me being fairly cack-handed with a face/head the size of a pea! Now I’m not really sure what I was expecting when I put the mask on, but it felt exactly how you’d imagine a jelly-like mask to feel. Cold and a little bit slimy, but the wonder of silicone is that it begins to warm to your skin on contact so you soon forget about it. It’s recommended that you keep the mask on for 30 minutes, so I used this time to chill out and listen to some of my favourite tunes. Unlike other masks I’ve used that only need to be on for 10 minutes, the caviar face mask felt like a proper spa treatment and as someone who is always on the go I really enjoyed having to take time from my schedule to unwind and do nothing. Half an hour later I have to say I was really impressed. My skin looked brighter, smoother and completely refreshed. 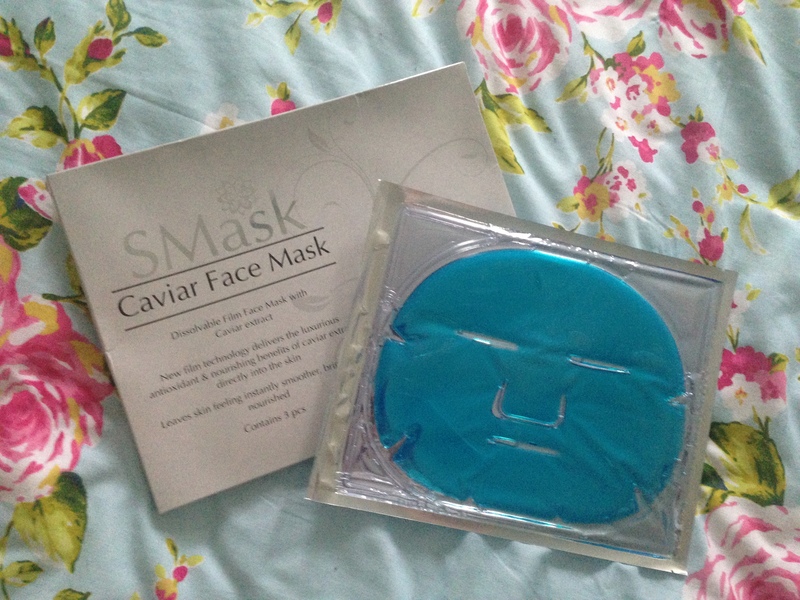 Thankfully I’m not of an age where fine lines are really an issue yet, so can’t really speak for how well the mask tackles ageing, but from what I’ve seen I will definitely be repurchasing the SMask Caviar Face Mask in the future. I’ve newly taken over the reins as beauty editor here on Girls n Gadgets so please do leave me a comment, I’d love to hear what other products you’d like to see me feature or review.